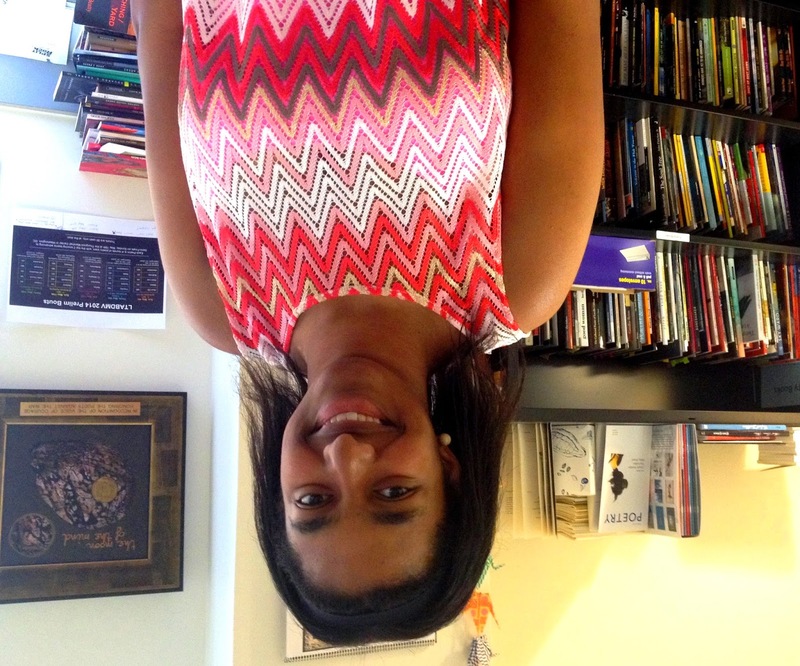 Split This Rock: 45 Years and Counting: When Poetry Meets Stonewall by 2014 Chavez Fellow, Shayla J. 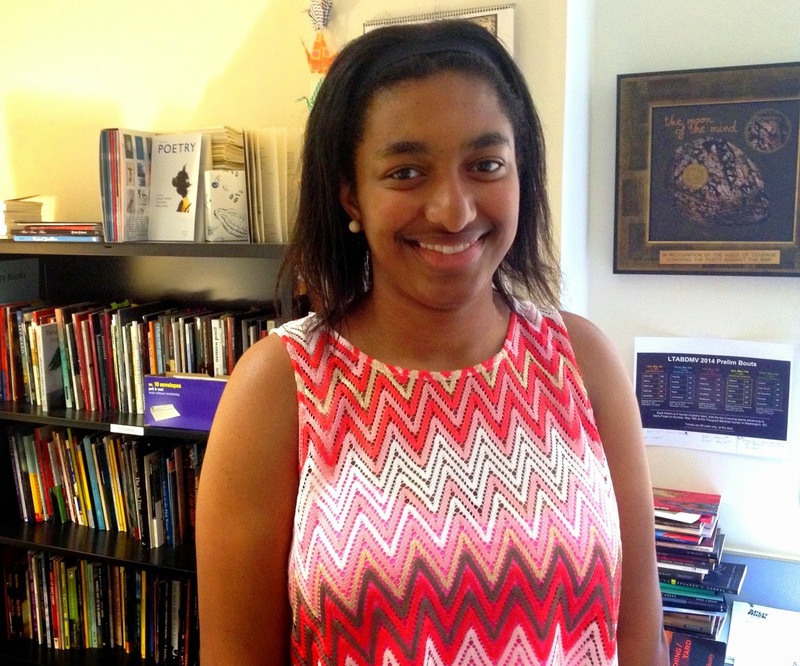 45 Years and Counting: When Poetry Meets Stonewall by 2014 Chavez Fellow, Shayla J. The weekly writing workshops held at MLK library every Tuesday, hosted by Split This Rock, have always been quite popular amongst the youth. It’s a place where teens are welcome to come and partake in the magical process of writing poetry. It provides one with a safe environment where one can share their thoughts and opinions without being judged or ridiculed. However, things took an interesting turn on the second Tuesday in June. This particular workshop, hosted by Alison K.(20), and Devyn J. (18), two Split This Rock interns, was themed completely around the Stonewall Riots that happened in New York over 45 years ago. The month of June was chosen for LGBT Pride Month to commemorate the Stonewall riots, which occurred June 28, 1969. Consequently, Alison and Devyn wanted to theme the workshop around the Stonewall Riots to give the youth a little history lesson on how the LGBT movement got started. During the workshop two videos were played. The first gave the history surrounding the riots while the second was an interview with a transgender woman who was part of the uprising. As the videos were played, you could feel the sense of empathy in the room. Everyone was affected by the information they were taking in, many of them for the first time. Once the videos were over, Alison and Devyn read two poems aloud to everyone. The first poem was entitled Pride written by Ashley Catharine while the second was an excerpt from A Place I Never Been: Especially for Malcolm X written by Louis Reyes Rivera. Afterwards, everyone was given the task to either personify liberation or to personify one of the items used during the Stonewall Riots. We were given 20 minutes to write a poem using one of the two prompts given. Following the completion of the poems, each individual shared their piece with the group. Towards the bottom of this article you can view an excerpt from the poem that I wrote in response to the prompts. The workshop was enjoyable as always but I particularly appreciated the fact that I was being educated on a topic that is very much relatable and relevant to society today. Theming the workshop around the Stonewall Riots afforded the youth with the chance to learn about a major part of the LGBT civil rights movement that they might not learn about in their everyday history class. It also demonstrated how spoken word can effectively influence or spark change within a group of people. This might have been the first themed writing workshop but I look forward to attending many more in the near future. Why does the pain feel so good? Written by Shayla J. (17), 2014 Chavez Fellow with Split This Rock. Labels: Chavez Fellow, MLK workshops, Shayla J.